Crabs, Lobsters, Prawns and Shrimps are the most well-known types of crustacean, and you may not have heard of these giants. Supergiant Amphipod is also known as Alicella. The size of the Supergiant Amphipod is 11 in / 28 cm. 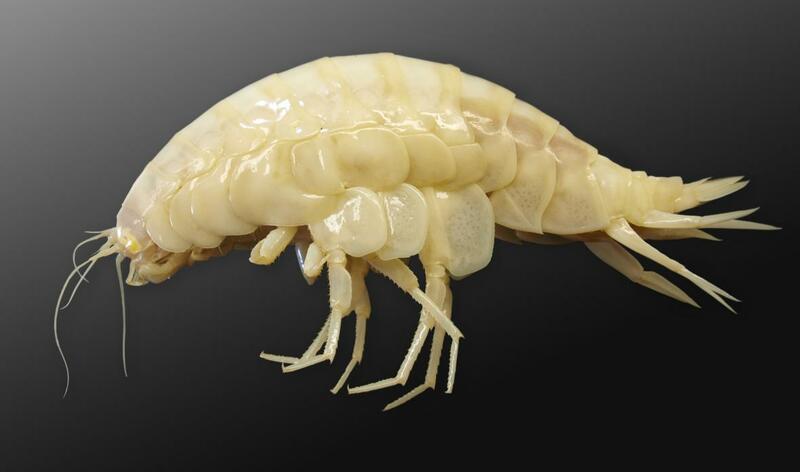 The colour of the Supergiant Amphipod is White. The body of the Supergiant Amphipod is divided into 13 segments in which head, and other parts come. They found in the Pacific Ocean, Atlantic Ocean, Lake Baikal and in Lake Titicaca. Diet of the Supergiant Amphipod is Seaweeds, Seaplants and Algae. They live surface to the depth of 5300 m / 17400 ft. The size of the Pennella balaenopterae is 12.6 in / 32 cm. Atlantic Horseshoe Crab also called as Limulus polyphemus. The size of the Atlantic Horseshoe Crab is 23.6 in / 60 cm. And the weight is around 1.8 kg / 4 lb. Colour of the Atlantic Horseshoe Crab is light tan to dark brown and the legs are dark reddish with white marking. They also has a compound eye. And the blood colour of the Atlantic Horseshoe Crab is blue. Because blood contains copper in it. They found in Florida, Alabama, Atlantic East Coast of the United States, the Gulf Coast of the United States, Mississippi and Louisiana. Diet of the Atlantic Horseshoe Crab is annelid worms, fish and molluscs. 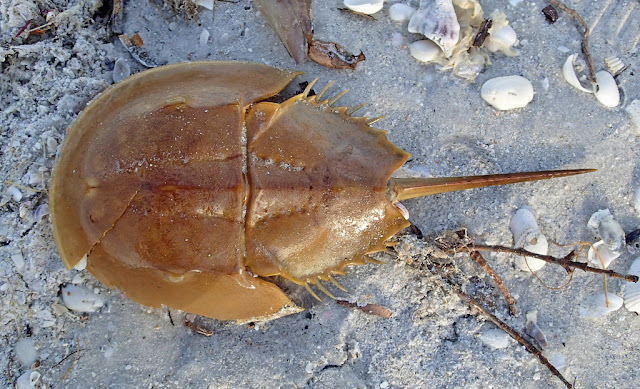 Life of the Atlantic Horseshoe Crab is up to 40 years. The size of the Giant Isopod is 29.9 in / 76 cm. And the weight is around 1.7 kg / 3.7 lb. There are many colours of the Giant Isopod like white, brown and reddish. 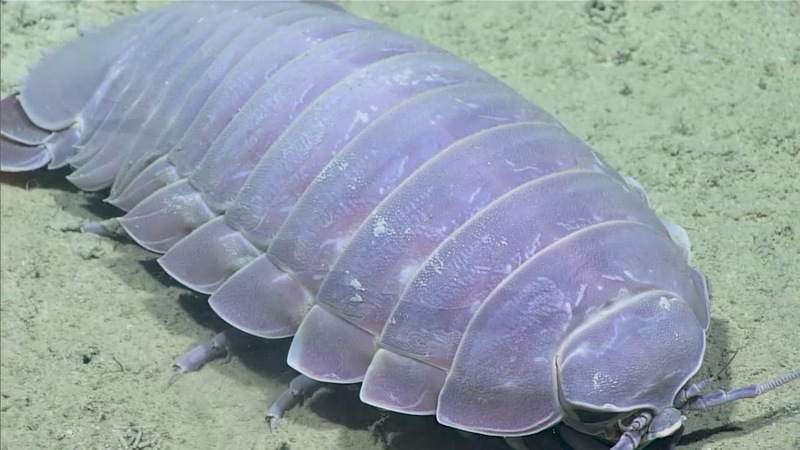 Giant Isopod found in the deep water of the Atlantic Ocean, Pacific Ocean and the Indian Ocean. They are present in very deep of the sea. So they eat whatever is available for them like Fish, Body of Whales, Squids, etc. Life of the Giant Isopod is around five years. Tasmanian Giant Crab is also known as giant deepwater crab, giant southern crab, Pseudocarcinus gigas and queen crab. The size of the Tasmanian Giant Crab is 35.8 in / 91cm. And the weight is around 13 kg / 28.6 lb. Tasmanian Giant Crab is one of the giant crabs on the Earth. 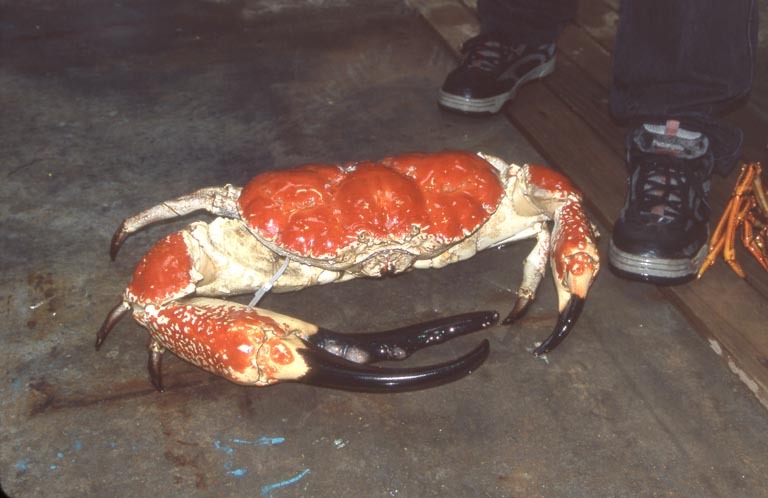 Colour of the Tasmanian Giant Crab is white on shell and red on claws. 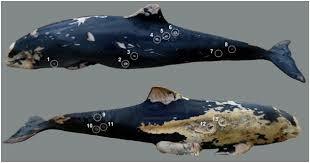 They found in Oceans of Southern Australia and in Tasmania. Diet of the Tasmanian Giant Crab is Gastropods, Carrion, Cannibalism, Crustaceans, Starfish, Anomura and Brachyura. Life of the Tasmanian Giant Crab is around 10 years. Colossendeis Colossal Sea Spider is also known for Giant sea spider. The size of the Colossendeis Colossal Sea Spider is 35.8 in / 91 cm. Colossendeis Colossal Sea Spider has limited pairs of legs. Colossendeis Colossal Sea Spider found in Antarctic Ocean, Australia, New Zeland, United States, Caribbeans Sea and the Mediterranean Sea. Diet of the Colossendeis Colossal Sea Spider is Corals, Worms and Sponges. Colossendeis Colossal Sea Spiders are found in 7000 m / 23000 ft deep water. 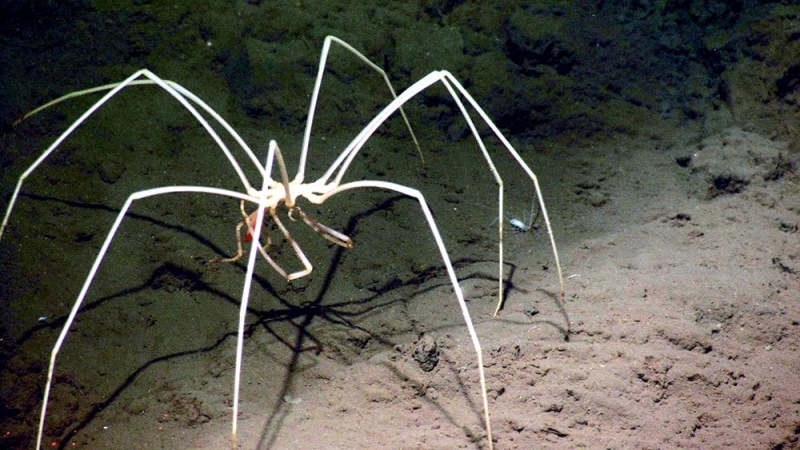 No one knows the age of the Colossendeis Colossal Sea Spider. 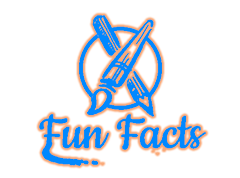 Coconut Crab is also known as Robber Crab and Palm Thief. The size of the Coconut Crab is 39.4 in / 100 cm. And the weight is around 4.1 kg / 9 lb. The colour of the Coconut Crab is Redon side and also they has creamy white colour. They found in Indonesia, Indian Ocean, Islands, some parts of the Pacific Ocean and the Gambier Islands. Diet of the Coconut Crab is Pandanus christmatensis, Fresh Fruits, Arenga Lister, Ochrosia Ackeringae, Drupes and Nuts. 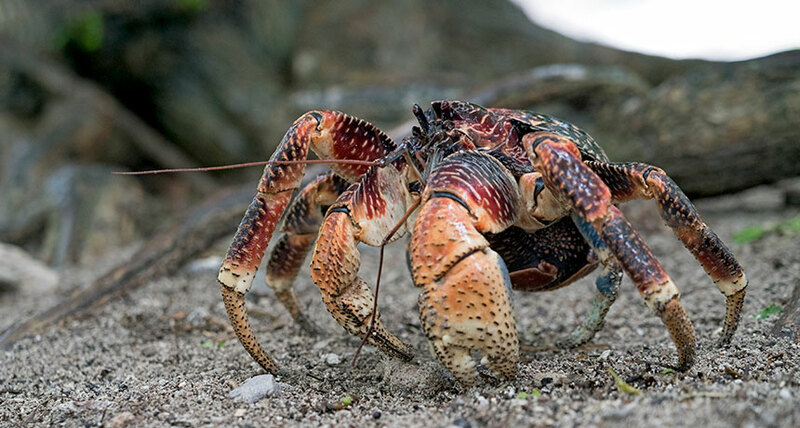 Life of the Coconut Crab is up to 120 years. American Lobster is also called as True Lobster, Atlantic lobster, Canadian lobster, Maine lobster, Canadian Reds and northern lobster. The size of the American Lobster is 43.3 in / 110 cm. And the weight is around 20 kg / 44 lb. The colour of the American Lobster is dark bluish green to greenish brown on the body and reddish on the claws. Head of the American Lobster is Y shaped. They found in North America, Canada and the United States. Diet of the American Lobster is Crustaceans, Cnidarians, And Brittle Stars. 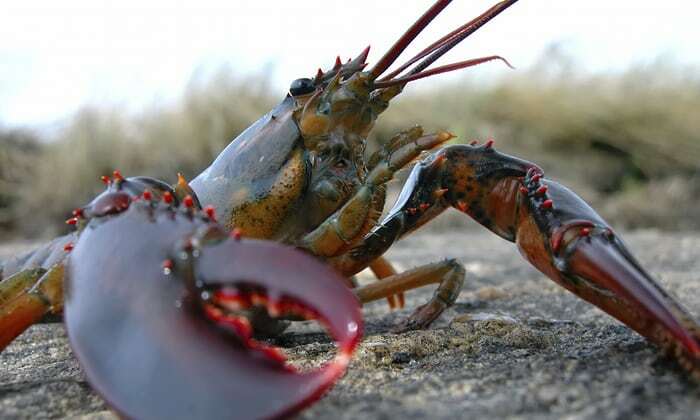 Life of the American Lobster is around 50 years or more. 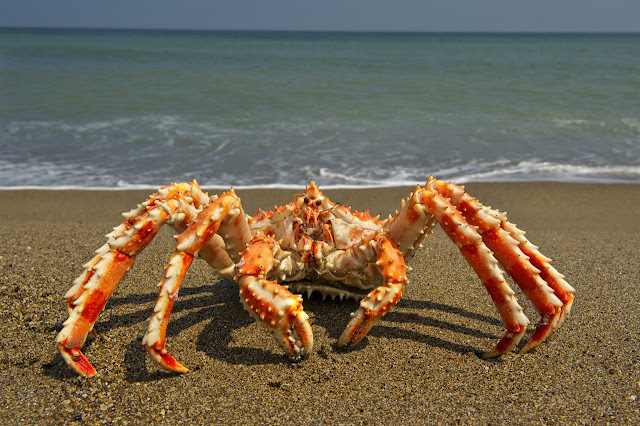 The size of the Alaskan King Crab is 60 in / 152.4 cm. And the weight is around 10.8 kg / 24 lb. Mostly colour of the Alaskan King Crab is red. Alaskan King Crab found in Alaska, Russian Water, International Waters and the Aleutian Islands. Diet of the Alaskan King Crab is Planktons. Life of the Alaskan King Crab is nearly 30 years. 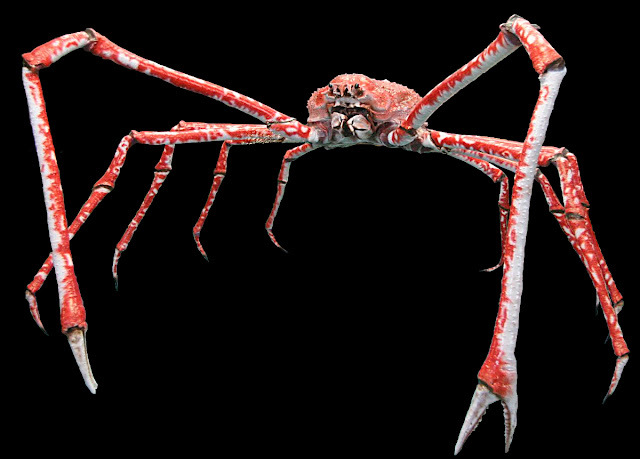 Japanese Spider Crab is also known as Takaashigani and Long Legged Crab. Japanese Spider Crab is one of the greatest crabs in the World. The size of the Japanese Spider Crab is 149.6 in / 380 cm. And the weight is around 18 kg / 42 lb. The colour of the Japanese Spider Crab is Orange and white. Japanese Spider Crab found in Japan and in the Pacific Ocean. Japanese Spider Crabs are eaten by both pant and animals. The diet of the Japanese Spider Crab is dead animals and surface plants. Life of the Japanese Spider Crab is around 100 years.